What You Should Know About Virtual Credit Cards, Why You Must Use It. Many are now getting used to the convenience of online shopping, and the risk of someone stealing identity and money of buyers is also getting higher. The convenience of shopping in the abode of your home comes with a great risk but there is also a way to lessen it. If only you could shop without giving away your precious credit card number. With virtual credit card numbers, you can do just that. Virtual credit card numbers had been around for quite some time, yet many shoppers are still oblivious of it and the benefits it offer for the safety of the consumers. With the word ‘virtual’, these series of numbers can be used in online transactions instead of using your actual credit card numbers. Use Virtual Credit Cards or VCC to buy securely online, Did you know that you can also use it to verify your PayPal Account, Ebay, Moneybookers and many other site that needs credit card for verification? Yes you can. Use these generated numbers rather than your real account number. You can set these numbers with expiration dates. That way if ever someone tries to use the numbers you provided, it had long been expired before they were able to use it for their own gain. You can also choose to make the virtual credit card numbers good for only one time use and a certain number of transactions you prefer. You also don’t have to worry about over spending as you can also set the limit of the amount it can transact. Easily put, it is like a prepaid card without a physical tangible card. The VCC number is still tied with the consumer’s actual credit card account, and the transactions will still be seen in the statements. All purchases will be reflected in the statement and you can still closely monitor your account. 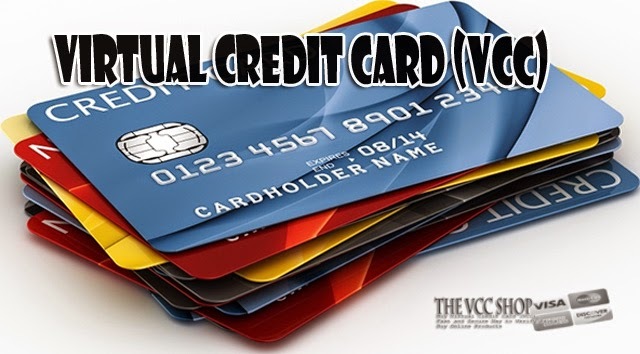 VCC comes with an expiration date, a limit of use you can set, a limit of credit it can dispense and an account number different from your real account. This ensures that you don’t have to give your actual credit card numbers, making it harder for the identity thief to find out and use your account.